Hey there. So I'm brand new to UE4, so let's keep that in mind. I might be missing something very simple, but I've tried to eliminate everything I've found online already about the issue I'm experiencing. I built a model and made a reasonable texture UV in MAX. Pulled into UE4. Built all the lighting, model looks fine. Lightmaps look fine. Added a simple emissive map, and the areas successfully started glowing (see image). 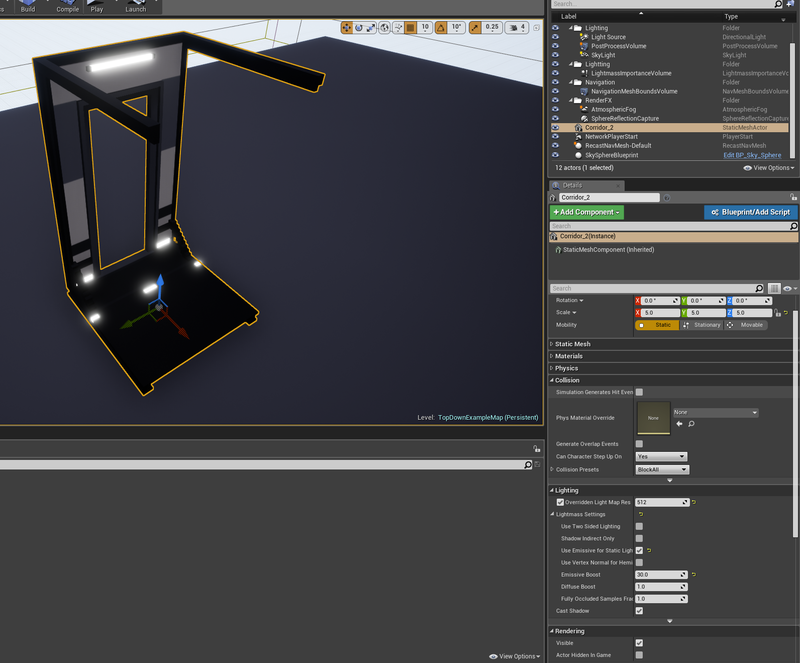 Set up "Use Emissive For Static Lighting" (see image), and bumped up the boost to try and see any change (none). Double checked I'm using the right lightmap channel. Emissive just won't cast light. Anyone have any ideas at all? I've tried in a blueprint project, and in a blank one. No difference. 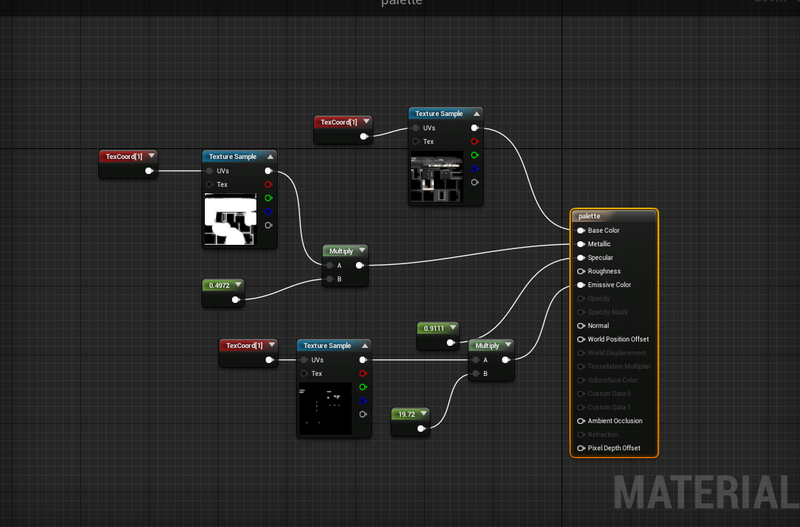 I've just done a full emissive material on an object as a whole, and it works as expected (glows and casts light). But as part of a texture map, I just can't get it to work. Could you show us the emissive material (the mapped one) you're using? Could you tell me what bounces you have in world setting/lightmass/skylight bonces? Where can I find the other info you need? I had a bug in one of my projects, where while emissive light was being cast from only "STATIC" meshes, only stationary meshes received the light, static meshes were not affected by the emissive. So i tried different project and everything worked fine there, static meshes received emissive light, im confused in a same way. So just try out if its casting some light on stationary meshes. How to fix this kind of UV overlaps? i've already tried several methods from fellow Engine users but none of that works. Please help.